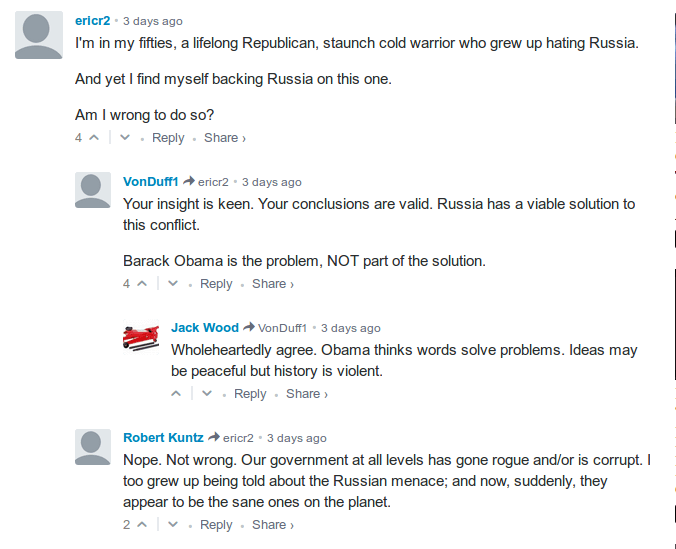 Very typical comment structure of Russian Trolls. > Wow, that’s so insightful. >> Yes, I absolutely agree, and I am also a life-long American. This entry was posted in News & Views on October 7, 2016 by RomanInUkraine.